Diurectics, fluid pills or "water pills" go by many names, like furosemide or hydrochlorothiazide, for example. They are used to help pull excess water off the body and increase urine formation. Diuretics are used for many different conditions, like different types of heart disease, high blood pressure, liver and kidney issues, even edema and glaucoma in some cases, and many of the diuretics used in humans are prescribed for pets in lower doses for the same health conditions. The most concerning side effect from accidental ingestion or overdose with diuretics is dehydration, and, in rare or extreme cases, kidney failure has even been reported. 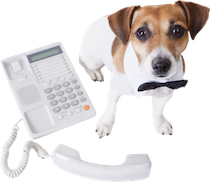 If your pet has accidentally gotten into a diuretic grab the bottle and the rest of the meds and call our 24/7 Help Line or your vet for suggestions and accurate calculations to determine whether your pet is at risk. Severe dehydration, excessive thirst and urination, lethargy, acute kidney failure (rare).